Everyone has opinions when it comes to what it takes to find a winning pageant evening gown, but as with everything in the pageant world, there's no one perfect formula. Competitors will do a ton of research into which colors and styles are seen most often on winners to try to determine what judges prefer. The only problem? Everyone is doing that same research, and so it's all too easy to find yourself up on stage in a sea of pageant dresses in the same colors with the same embellishments and silhouettes. There's nothing wrong with doing a little digging to see what winning pageant dresses for women looked like a year or two ago, but don't devote too much time to investigating patterns in pageant gowns. 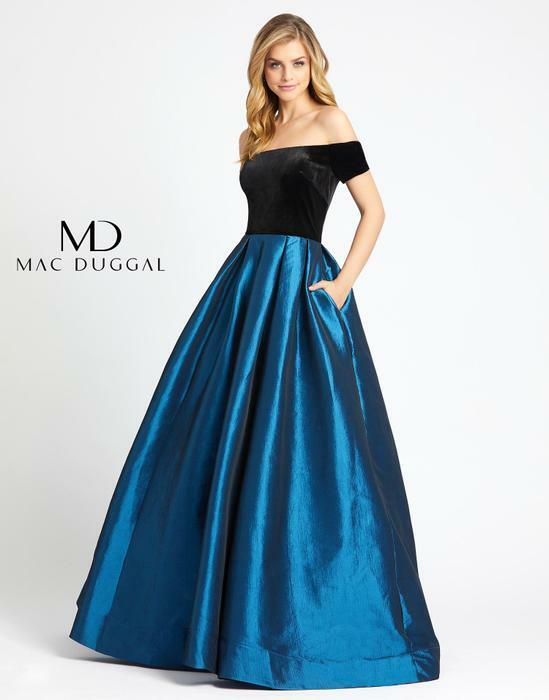 Remember that trends come and go, and finding winning pageant gowns is a matter of identifying the dresses that make you feel beautiful and confident. 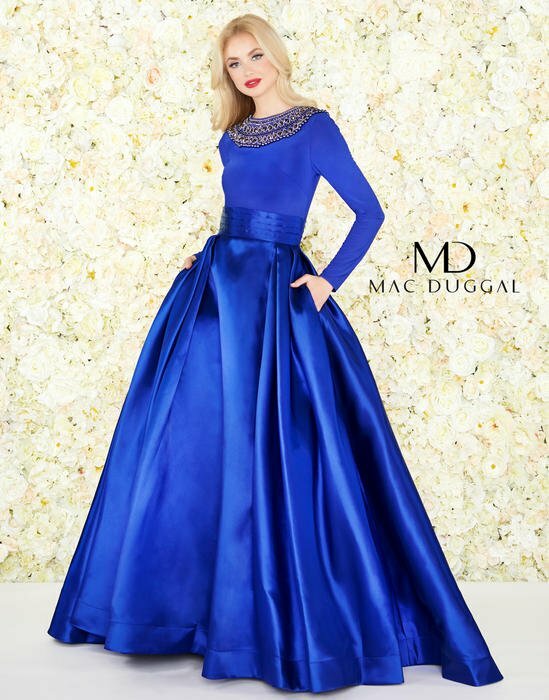 What Color Pageant Gown Should You Choose? No matter what anyone tells you, deciding between pageant evening gowns isn't a matter of science. Many people will tell you that statistics show competitors in white have a greater chance of winning a crown or that multicolor pageant gowns will hold you back. Is there some truth to the theories? Possibly, but it's hard to predict the how long trends will last, which means this could be the year that everyone falls out of love with white and colorblock dresses start showing up on winners. So here's a better strategy: If you're shopping for your first ever pageant gown, try on a little bit of everything. Pick pageant gowns in every possible color and then snap a pic. You'll start to see what pops on you - and the colors that work may actually surprise you. If you're a pageant veteran, have your photos ready when you shop. You can reference them to see what has worked in the past, and that will give you a solid jumping off point. But stop trying to outsmart the competition. Look for the colors that work on you. What Do Judges Really Look for in Pageant Gowns? What that means is that you shouldn't be shopping for pageant dresses that conform to some mold or that you choose based on a formula. You need to be yourself on stage, and that means being yourself when you're trying on pageant gowns. Don't assume strapless won't work on you or that you don't have the body for a specific silhouette. Don't make assumptions about which colors are the winningest. Try on lots of different colors and styles until you find the dresses that look and feel like they were made just for you. PreVue is well-known for helping pageant competitors find winning gowns and for our unique approach to dressing Miss USA, Miss America, and other pageant contestants. Girls and women come to us trying to please everyone - parents, directors, and judges - but in the end, we make sure they understand it's about how they feel in a dress. Obviously, it's helpful when you come in with an idea of what kinds of pageant gowns you want or what you like. We suggest window shopping on Instagram first and asking questions like 'What can I see myself in?' and 'What will move beautifully on stage?' From there, you should keep an open mind. You might come in with an idea of what looks beautiful on others but be wowed by an outside of the box look you never would have thought to try on!